The pointed base results from rapid manufacture off a fast wheel and makes it easy for stacking in the kiln. The grooves around the body may serve as a simple decoration, but they also allow for a better grip. Found only in the largest cities and towns, these cups appear to have been used once and then tossed away, as is the case with disposable terra cotta cups in the cities of Pakistan and India today. 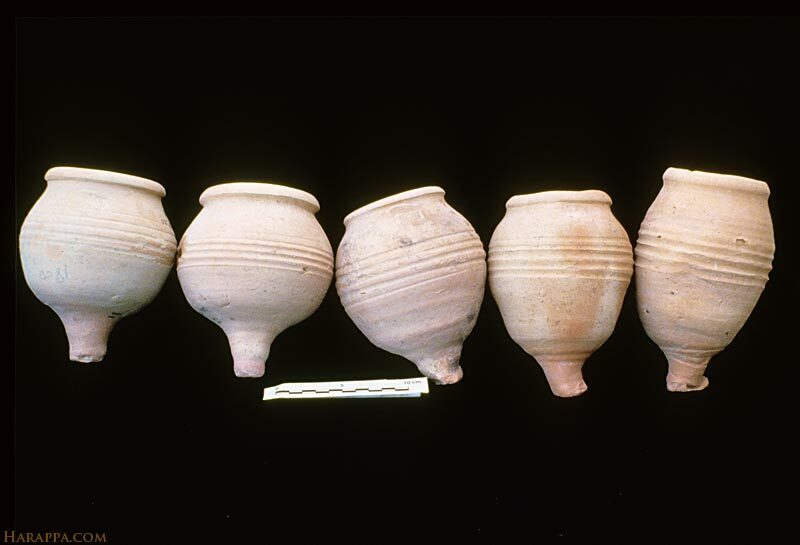 Some of these disposable drinking cups have a seal impression on the shoulder or base and may have been made for specific owners or for specific rituals. Wheel thrown off the hump and string cut base.